"Undertaking changes in your life can be difficult, especially when trying to implement those changes on your own. That is where an experienced counselor can help. 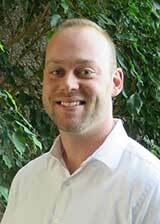 Jacob Wilson, M.S., NCC brings a wealth of experience to his work with individuals, couples, and adolescents in Fort Collins, Colorado. He will assist you through the therapeutic process where you will achieve a ..."